Starting today, you can purchase a Founder’s Pack code through Amazon. This is a great opportunity to purchase Founder’s Packs for friends and family to play alongside with you for Closed Beta Weekend 1! How many character slots will I have if I do not purchase a Founder’s Pack? Each player will have access to 2 Character Slots prior to purchasing any upgrades via the in-game store or benefits from purchasing Founder’s Packs. 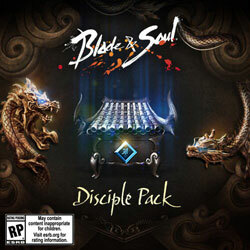 Purchasing the Disciple Founder’s Pack will grant you access to 2 additional Character Slots (4 total). 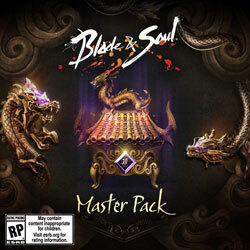 Purchasing the Master Founder’s Pack will grant you access to 5 additional Character Slots (7 total). Do I have to purchase all three Founder’s Packs to get all the benefits? No. Purchasing the Disciple Founder’s Pack will give you all the benefits from the Initiate Founder’s Pack, and purchasing the Master Founder’s Pack will give you all the benefits from both of the previous tiers. Do my Founder’s Pack benefits need to be activated or will they automatically be applied at head start? With the exception of Closed Beta, Head Start and Character Name Reservation, you will need to redeem your Founder’s Pack serial key anytime after Head Start to receive your Founder’s Pack benefits. For more information on this process, click here. How does Character Name Reservation work? The Founder’s Pack page states that we will be able to “pre-generate” our characters and secure our name. Does this mean I have to create my character’s looks before I can reserve my name? Yes. Prior to Head Start you must log into the Blade & Soul client, create a character and select a name, but you will not be able to play the game until Head Start begins. If you purchase a Disciple or Master Founder’s Pack, you will also be given a Character Alteration Voucher, this will allow you to redesign your character’s appearance. Are names reserved across North America and Europe or just in each region? Name reservations will be on a per-region basis. For example: a character may have the same name on a North American server and on a European server, but not on two European servers.